The Carli Creek project is a water quality facility on a 15 acre-patch of land in unincorporated Clackamas County wedged between industrial properties and the Clackamas River. Named after the family that once owned and farmed the land for generations, Carli Creek is the repository for much of the stormwater runoff that drains from the surrounding area. Very little of the runoff was treated to remove pollutants before it made its way into the Clackamas River where nearly 400,000 people get their drinking water. In 2014, water quality monitoring of Carli Creek found high levels of Copper, Zinc and Lead that far exceeded pollution standards. Clackamas County Water Environment Services recognized how important this property was to water quality and acquired the land to establish a water quality facility. The project features, channels, ponds, wetlands, and permeable berms to treat stormwater and filter pollutants. Large wood habitat structures for fish and other aquatic wildlife, a backwater channel floodplain enhancements through grading, invasive, and non-native species removal, and the planting of diverse native species. 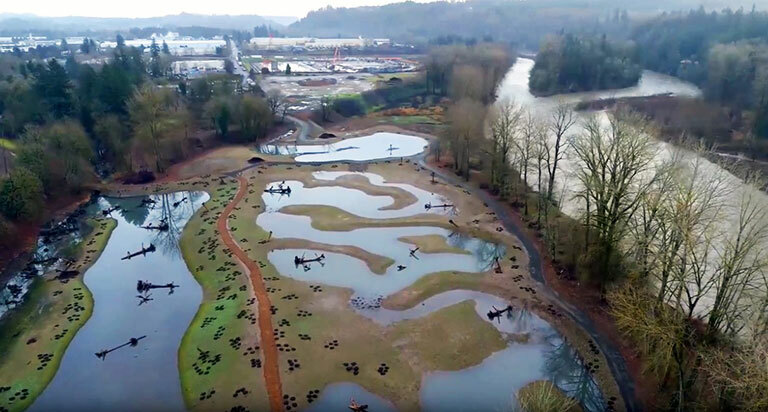 The result of this project is a cleaner Clackamas River, a more efficient stormwater management system, and an enhanced environment for wildlife. More than anything, the Carli Creek Project is living proof that a balance between nature and industry can be achieved. Enjoy a video with great footage of the project! 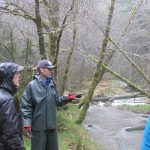 Tour The Wetlands Conservancy’s Central Coastal Initiative Area (Yaquina estuary, Beaver Creek, and Alea Bay) with TWC Coastal Steward Paul Engelmeyer and Executive Director Esther Lev. This all day tour includes lunch and ends with a dinner with TWC coastal Parner. Tour will be limited to 8 people. Date to be mutally agreed upon. The tour will start in Newport, Oregon.